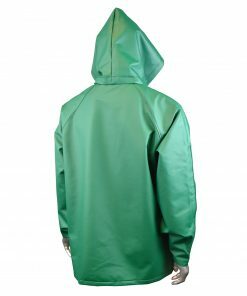 .42mm Acid Green PVC/Poly material. 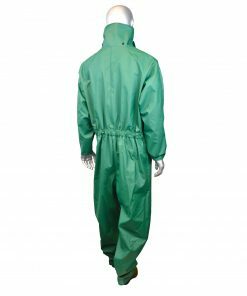 Self Extinguishing PVC material SE D6413 Tested. 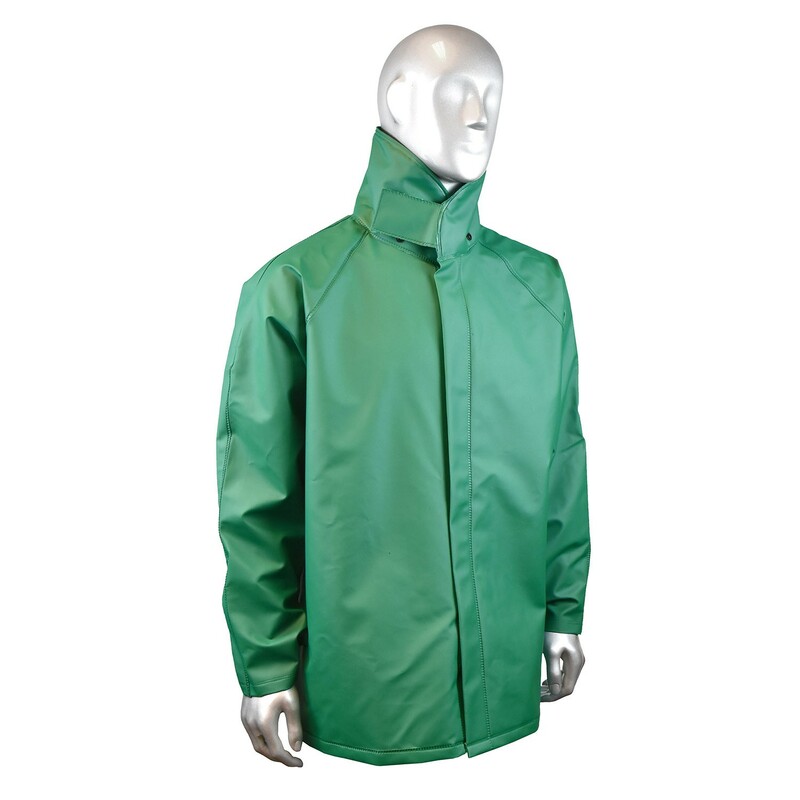 ETP™ Collar: Extended in Back, Tapered in Front for Increased Protection and Wearable Comfort. 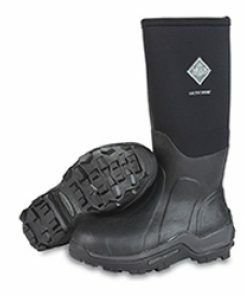 Double Heat-Welded Construction for Strength and Reliability in Hazardous Conditions. 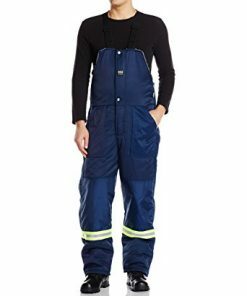 Bib Style Overall with No Fly Front. 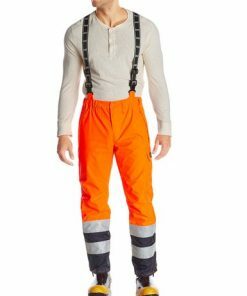 Reinforced Crotch for Increased Protection. 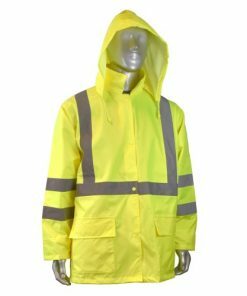 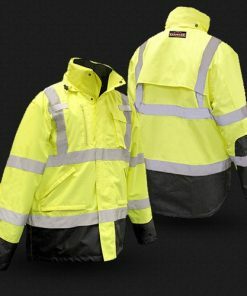 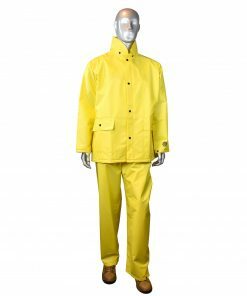 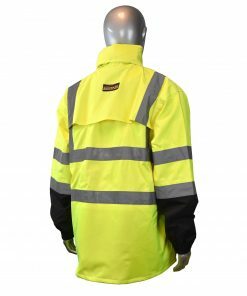 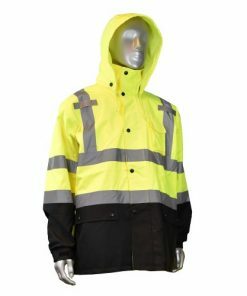 Radians DURARAD™ 42, acid gear waterproof rainwear, will keep workers dry in the rain or provide protection from dirty working conditions. 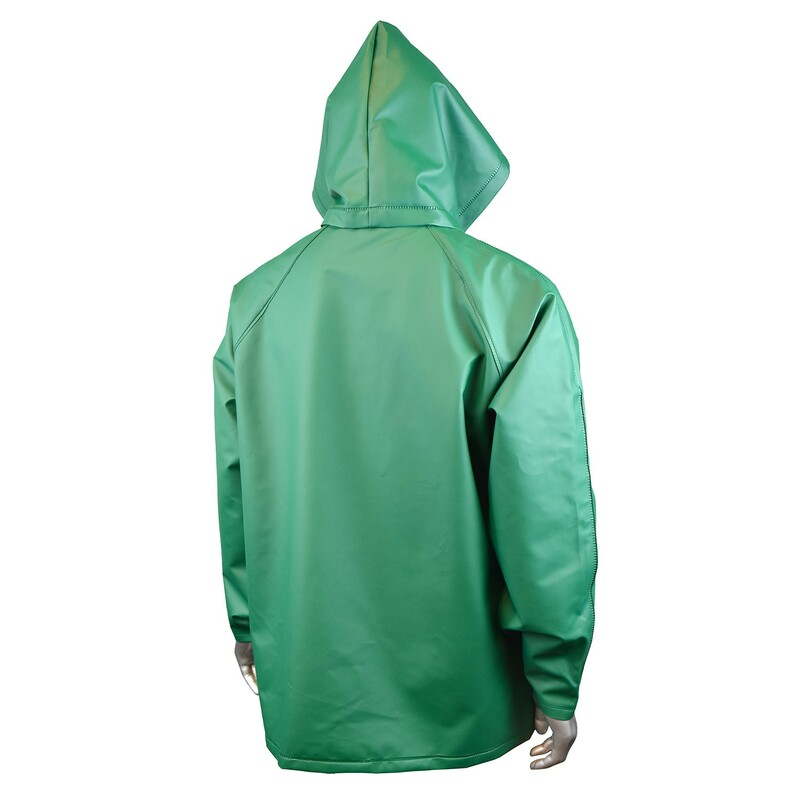 The heavy duty PVC/Poly material provides excellent protection in hazardous conditions which require extra performance, yet is soft and flexible for comfort. 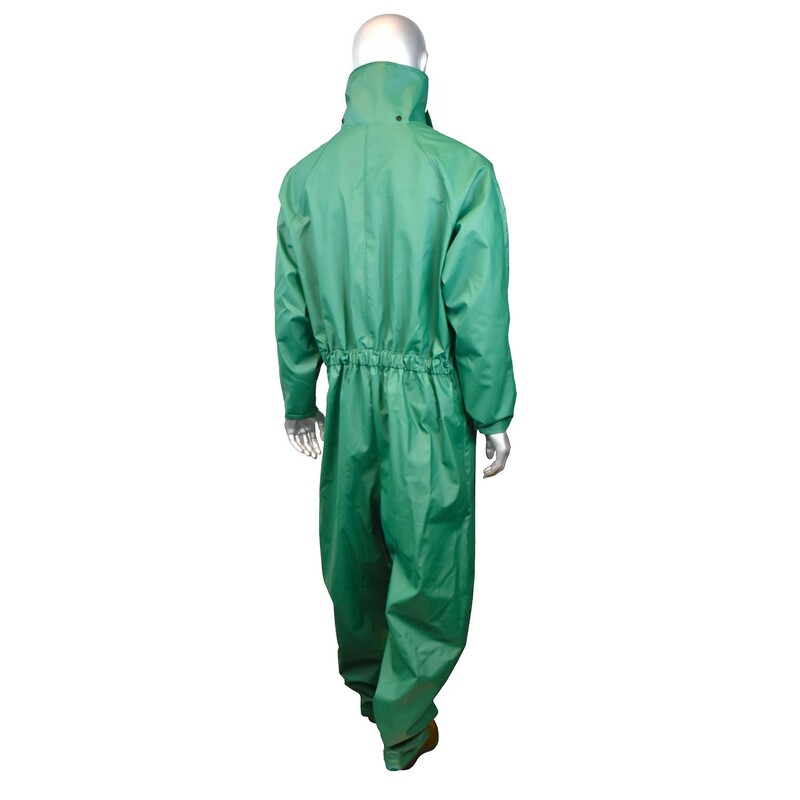 The treated polyester is Self-Extinguishing (SE) to test method D6413. 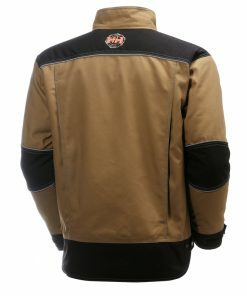 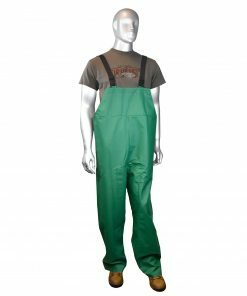 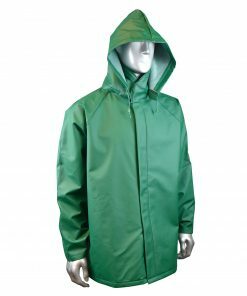 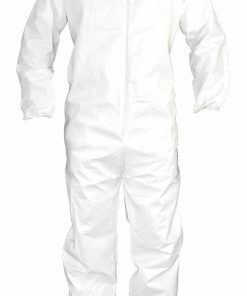 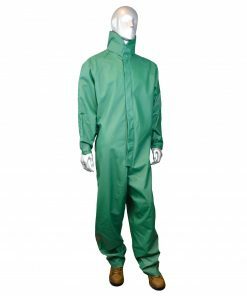 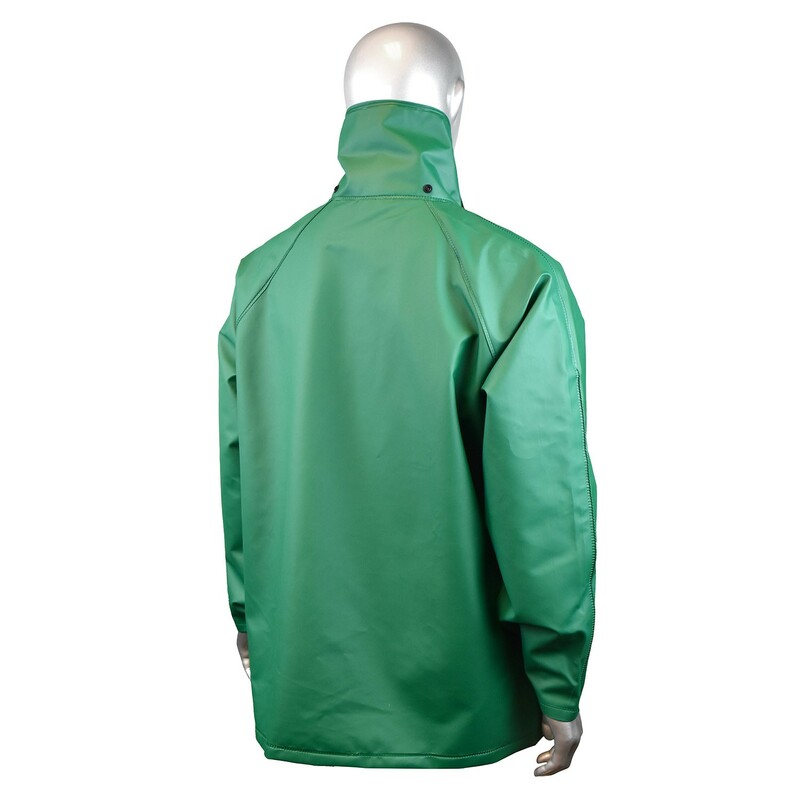 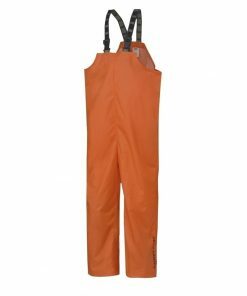 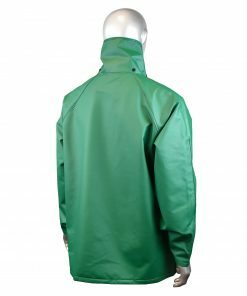 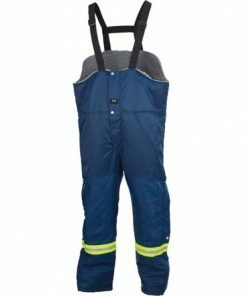 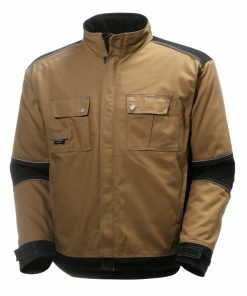 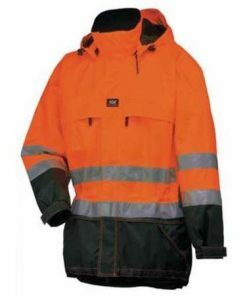 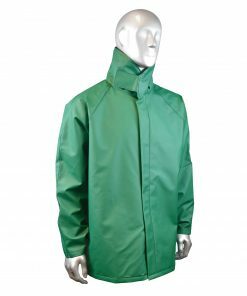 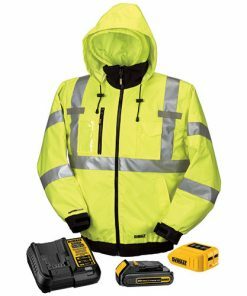 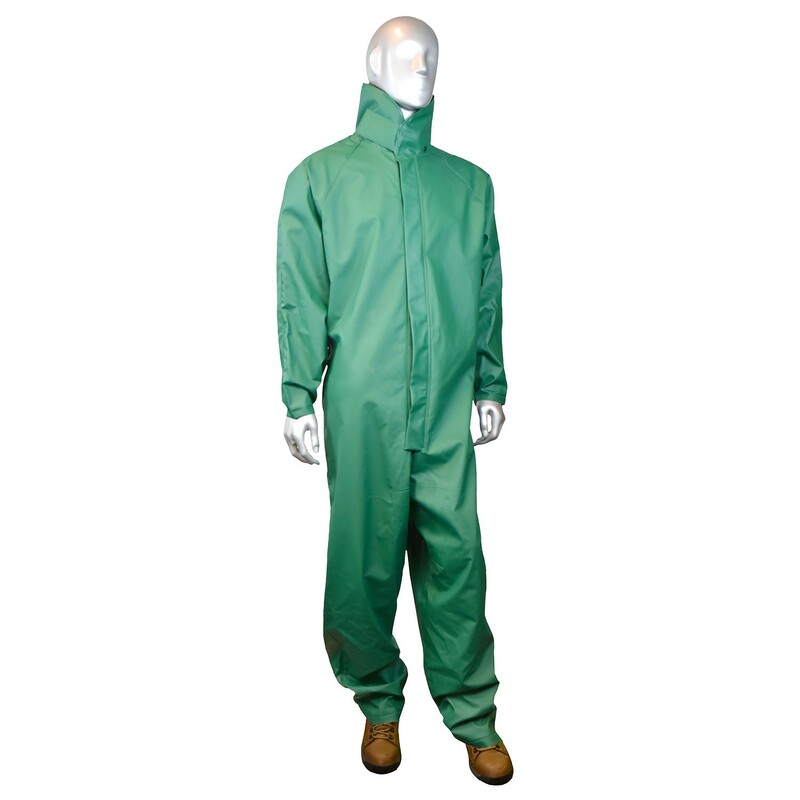 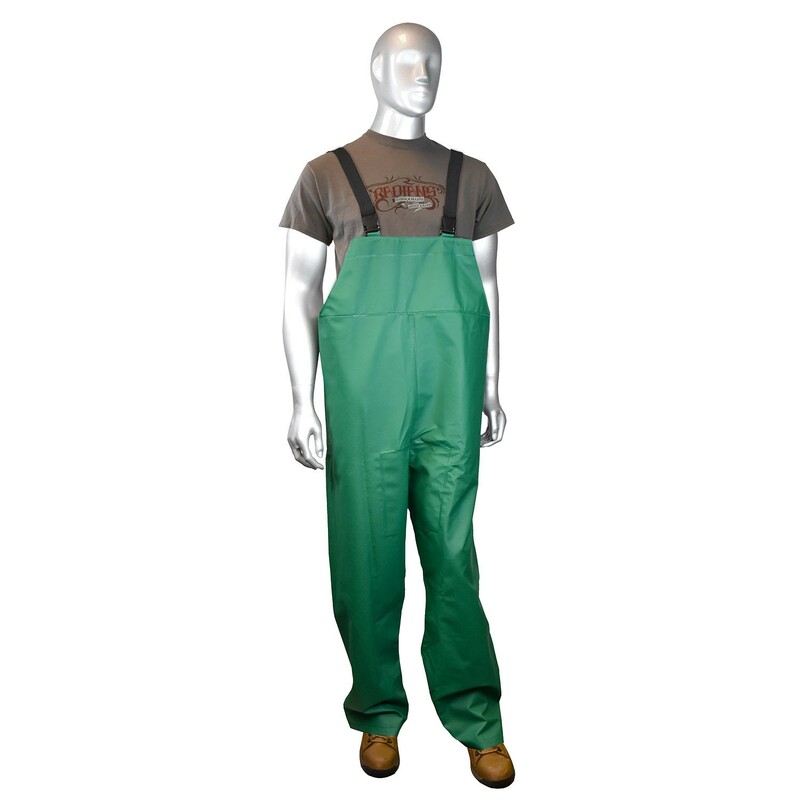 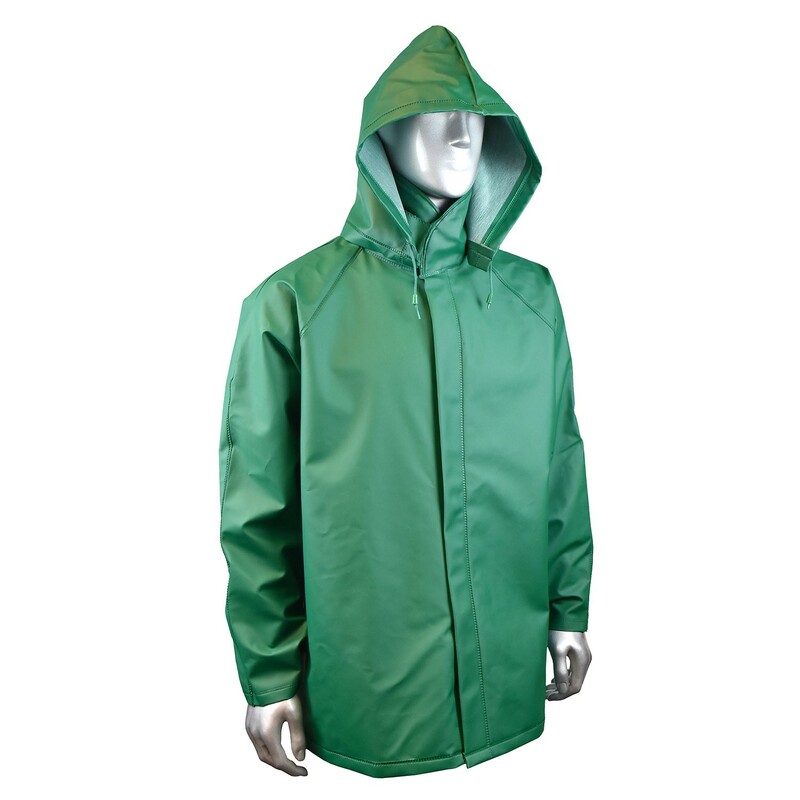 The DURARAD™42 series rainwear includes a jacket, bib overalls, and full length coveralls, all sold separately.